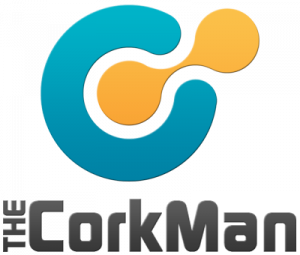 The Cork Man is a blog focusing on business and how to save money in your business. In today’s economic climate all over the world, many people are deciding to try their own thing. It may seem strange, but it is a fact. As a successful business owner myself, I decided to share my ideas, thoughts, and experiences with those who would like to also start their own business. Sometimes, the saying ‘you have to spend money to make money’ is very true. I am here to help you navigate all these things. My name is Brayden Marsh and I run The Cork Man blog. I got this nickname because I enjoy wine and also went a bit crazy with using cork in my businesses. If you visit the BLOG page, you will see why. I am the owner of three successful businesses – two restaurants and a flooring company. It took me 10 years to build all of these and another six years to get them all to be self-sustainable. Overnight success is a myth. In the 16 years I have been a business owner, I learned a lot and I want to share that with you in the hopes that you can sidestep some of the traps I fell into. Please enjoy this website and feel free to send me emails or ask questions at info@thecorkman.com.au.